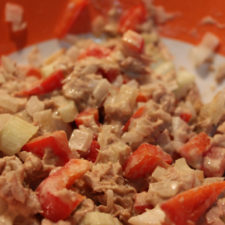 I love tuna salad, but I don’t love the calories and fat that result from mayonnaise. 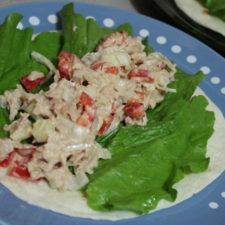 This tuna salad veggie wrap uses low-fat salad dressing as an alternative to heavy mayonnaise. 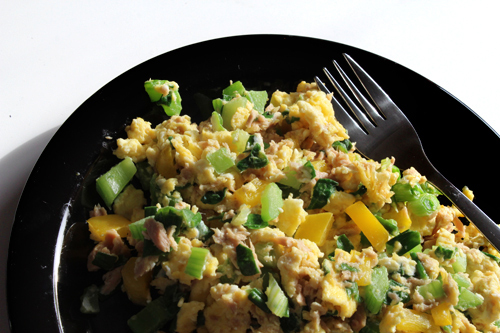 The veggies included in the tuna salad add a satisfying and filling crunch. This recipe yields enough for four 8-inch tortilla wraps. 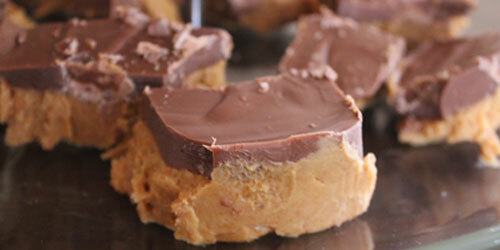 Mix together the first six ingredients in a mixing bowl until coated. Line each tortilla with two romaine lettuce leaves. Spoon out 1/4 of the tuna salad down the centre of each lettuce-covered tortilla, then wrap it up and hold it in place with a toothpick. This wrap is surprisingly filling. I made two for dinner alongside some garlic alfredo noodles, and I could only eat one. 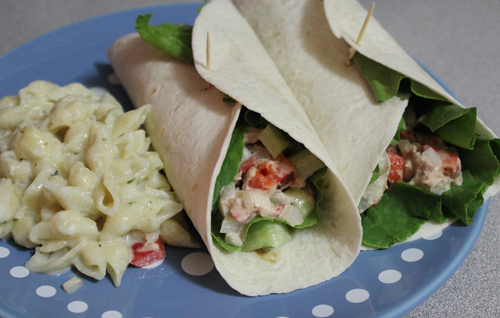 I packed the leftover wrap as my lunch for the next day and it still tasted just as great! Thanks for reading my guest post on this week’s Foodie Friday column! 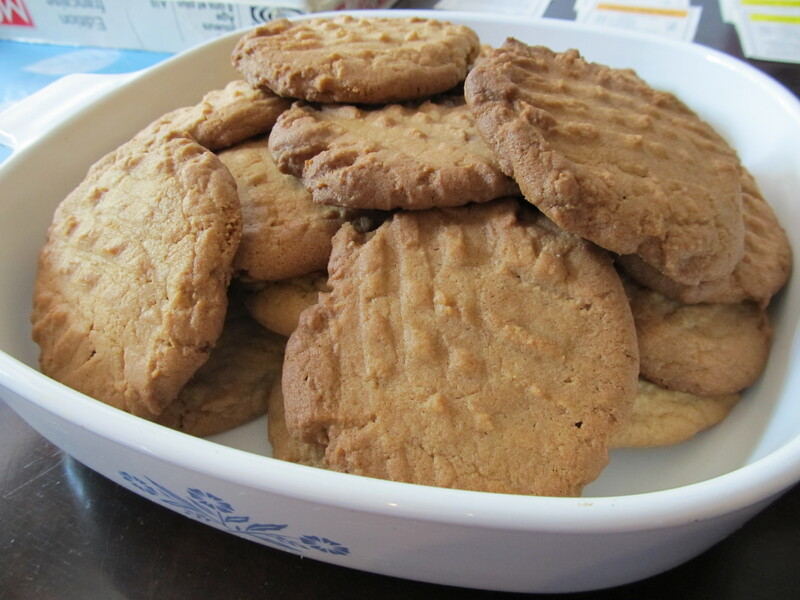 Michelle will be returning to Foodie Friday next week with another great recipe for you.